Accommodation: Hotel in Kathmandu at 3 stars level on BB plan & mountain lodge (Tea-house) in trekking. Transportation: Airport / Hotel / Airport pick up & drop by private car- By Bus from Kathmandu to Syapru Bensi to by car from Sundarijal to Kathmandu. Langtang Gosaikunda Trekking around Gosaikunda Lake is a very famous holy lake for the Hindus and the Buddhists. Thousands of Hindu pilgrims visit this lake every year during the full- moon festival in August. According to the Hindu mythology, when the God churned the primordial ocean to produce an elixir of eternal life, the poison also produces simultaneously. To save the universe from this poison, Lord Shiva drank it which causes scaring his throat blue in the process. To cool down his burning throat, Lord Shiva hit his trident into the rock creating three springs which ultimately resulted in the formation of beautiful lakes. Finally, Lord Shiva drank the water of the lakes and got gree of the pain. 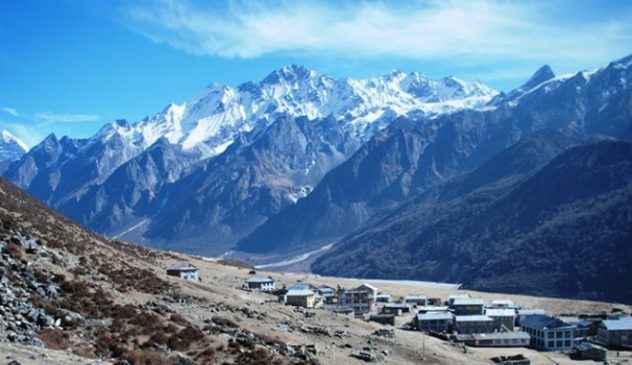 Langtang Gosaikunda Trekking provides excellent views of snow-capped mountains, picturesque valley and the glimpse of exotic 108 holy lakes with diverse ethnic culture. 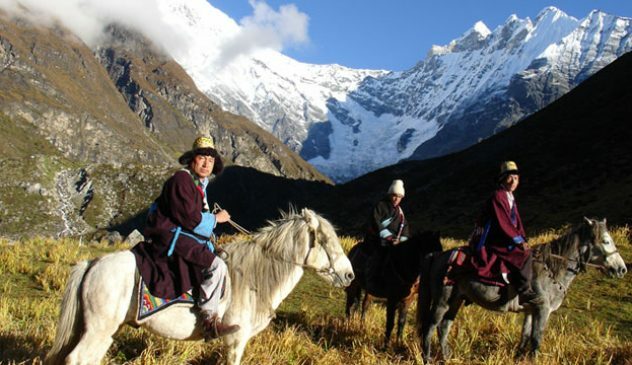 The three-week long tour covers Langtang, Gosaikunda and Helambu valley. Drive from Kathmandu to Syabru Bensi by bus via Trisuli Bazar and Dhunche( popular town). You will witness nice scenery of White Mountains of Mt. Annapurna II, Manasalu, Ganesh Himal and other minor peaks are visible from Kakani (along with the route) and as well as green scenery of hillock, rivers, village while driving to Syabru Bensi. Syabru Bensi is an attractive village with large stone houses. From Syabrubensi we begin our trek by following the Langtang River, a river we will be following over the next few days, all the way to the head of the valley. After crossing the suspension bridge, the trails ascent ridge to Paira Lodge and after Paira Lodge, the trails, gradually ascent until to New Bridge and the trail climbs up to Rimche and after 40 minutes, we get then to Lama Hotel. This day, you might feel wilderness and might get an opportunity to see wild animals like monkeys, red Pandas, Himalayan Black Bears etc. Day 04: Lama Hotel to Langtang village (3307m10846f). From Lama Hotel the trail gradually climbs up to Ghora Tabela through a forest of hemlock, oaks, maples and rhododendron with spectacular, fleeting glimpses of Mt. 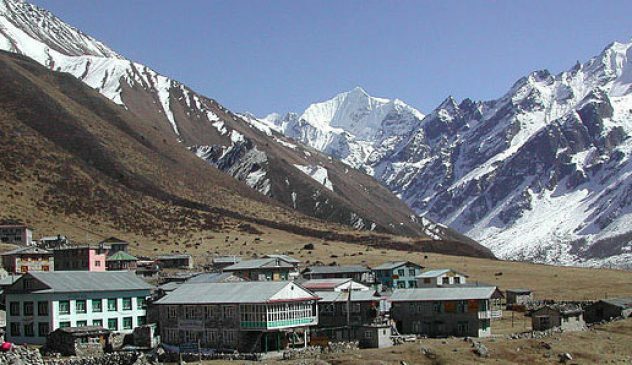 Langtang Lirung (7,244m). Leaving Ghora Tabela, the path follows the delightful Langtang Khola, climbing steadily up to the spread-out Langtang village (3,500m). In the afternoon, we hiking up to Kyanjin Ri and back to Kyanjin Gompa. Day 05: Langtang village to Chorka Ri (5050m/ 16564ft) and back to Kyanjin Gompa. Get up early morning at 5:30 am. The trail climbs gradually to Sindum and to Yamphu (3640m). Crossing the Laja Khola then climbs a moraine to a viewpoint where you can see Kyanjin Gompa and the dramatic icefall flowing from Langtang Lirung. After Kyanjin Gompa, climb to the top of Chorkari Ri (5050m). Enjoying spectacular panoramic mountain views of the whole Langtang Himalayas, including Langtang Lirung (7,244m), Langshisa Ri (6,810 m.), Gyanghempo (6,888 m.) Ganjala peak, Naya kanga more…. Trek down from Kyanjin Gompa to Lama Hotel(2510m/8232ft). O/N at the lodges. Passing Schools and gompas the trail ascent through the forest of hemlock and oak until trail Dursagang (2660m). Then the trail gradually ascent through forest Sing Gompa. Sing Gompa is popular for Yak cheese factory and a Buddhist monastery. The trail leads to the northern side of Gosaikunda Lake and passing three more small lakes; you will reach Laurebina pass (4610m15120ft). The trail descends to Phedi (3740m). We continue to trek to Ghopte with following up and down the trail. 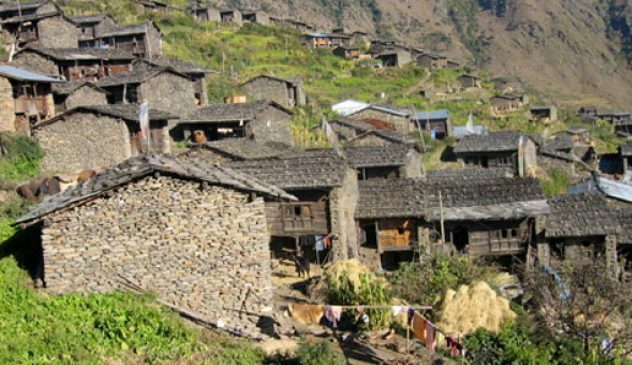 The trail descends to the delightful hill village of Gul Bhanjyang. And again trail ascent until Thodang Betini and we continue to trek down to Pati Bhanjyang (1860m) and exploring a Brahman and Chhetri village. Then the trail proceeds to Chisopani. Day 12: Chisopani to Kathmandu via Sundarijal. Welcome or farewell dinner in Kathmandu as per your desire. Hotel in Kathmandu ( 2 nights) with breakfast at 3stars level. Meals 3 times a day (Breakfast, lunch and dinner) during the trekking for you. Food, drinks, accommodation, insurance, salary, equipment, transportation, local tax for Guide and porter. Duffel/kit bag( Gift from our company).